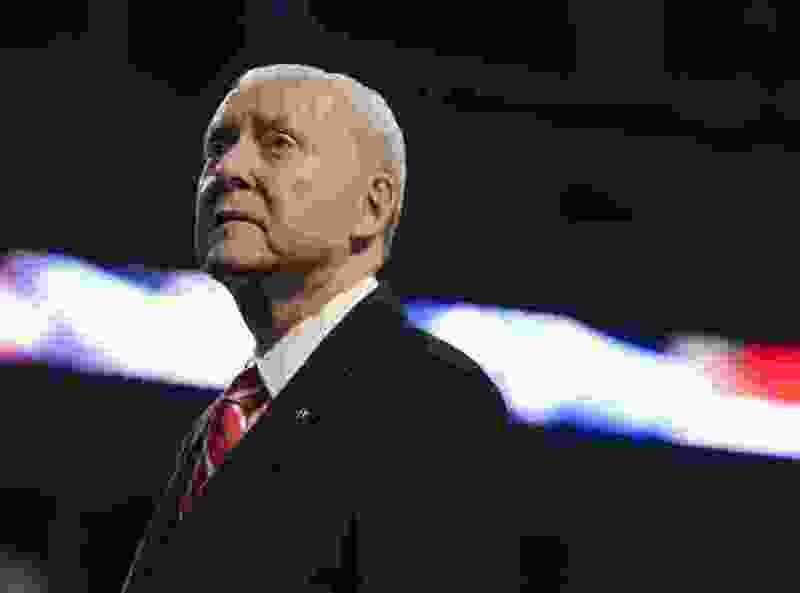 (Leah Hogsten | The Salt Lake Tribune) Retiring seven-term Sen. Orrin Hatch was honored at the Utah Republican Nominating Convention Saturday, April 21, 2018, at the Maverik Center. Washington • Sen. Orrin Hatch says he would vote against legislation that would thwart the firing of special counsel Robert Mueller but adds that President Donald Trump wouldn’t take that action because it could lead to possible impeachment. “I believe it is in President Trump’s best interest to allow the investigation to run its course, because I believe it will vindicate him,” Hatch said in an op-ed published in Wednesday’s Wall Street Journal. While Hatch's position is hardly unusual among U.S. lawmakers, even Republicans, it isn't often that GOP senators use the word "impeachment." The Senate Judiciary Committee is expected to vote this week on legislation that would prohibit any president from firing a special counsel, allowing the counsel to seek a judicial review by three judges if such action is taken. While the White House has said Trump has no intention to fire Mueller, Trump has reportedly considered doing so as the investigation continues into Russia’s meddling into the 2016 election and whether Trump’s team had any hand in the effort. Senate Judiciary Committee Chairman Chuck Grassley, R-Iowa, plans to take a vote on the legislation Thursday even as Senate Majority Leader Mitch McConnell, R-Ky., vows that he won’t take up the bill on the Senate floor. Hatch says the legislation is unconstitutional because it allows a special counsel to be above the government’s three branches and gives the counsel unilateral power.